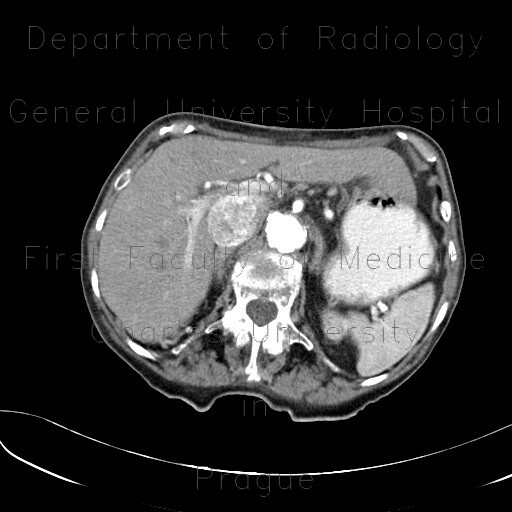 CT shows a large hypervascular mass in the middle segment of the right kidney that represent typical hypervacular type of conventional renal carcinoma. The right renal vein and the inferior vena cava are dilated and contain mottled material that enhances like the tumour itself. It represents tumor thrombus extending into the inferior vena cava.